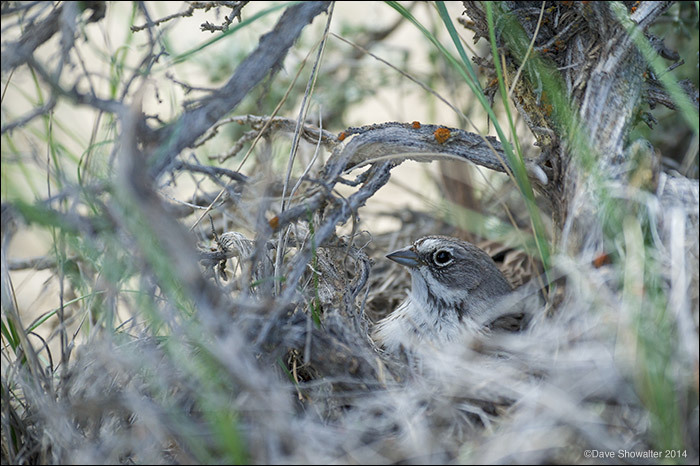 A female sagebrush sparrow broods, rocking on her nest with nestlings underneath. This nest site was a mile or two away from the Jonah Natural Gas Field in less disturbed sagebrush habitat. The sagebrush sparrow is a sagebrush obligated species, obligated to breed and raise their young in sagebrush. Photo © copyright by Dave Showalter.